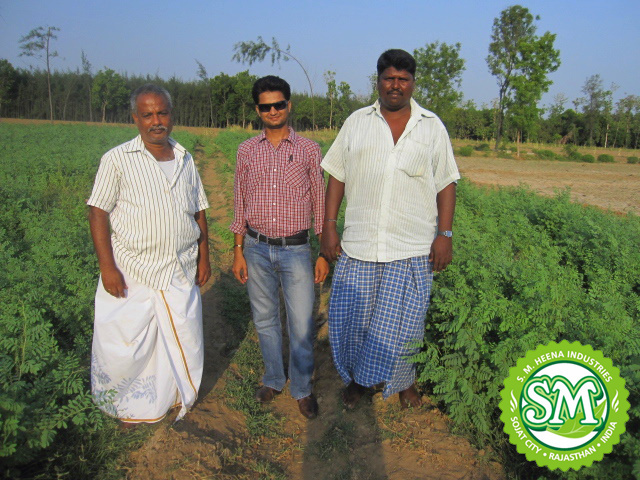 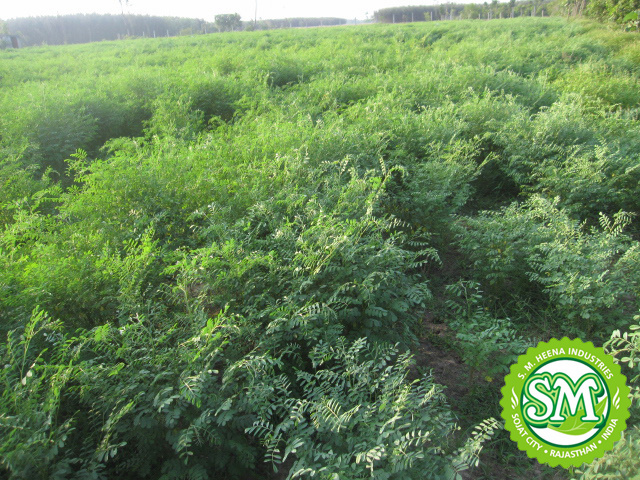 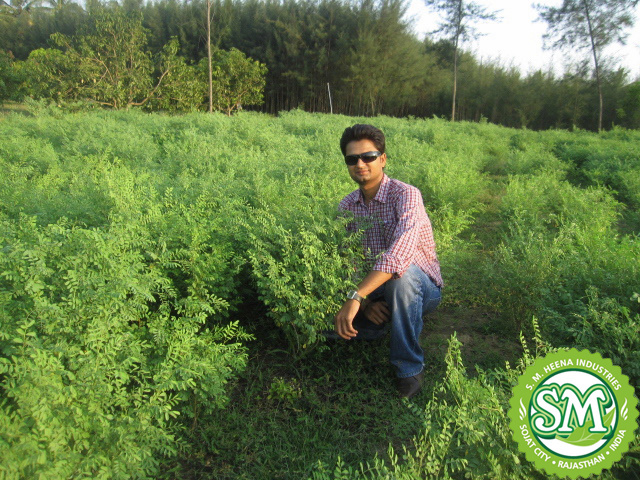 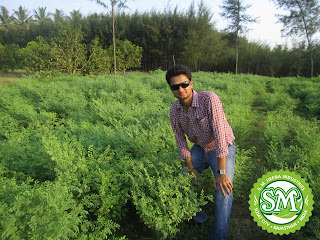 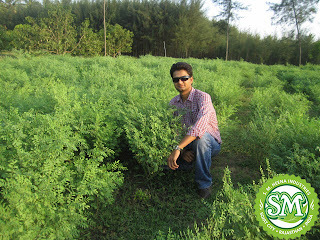 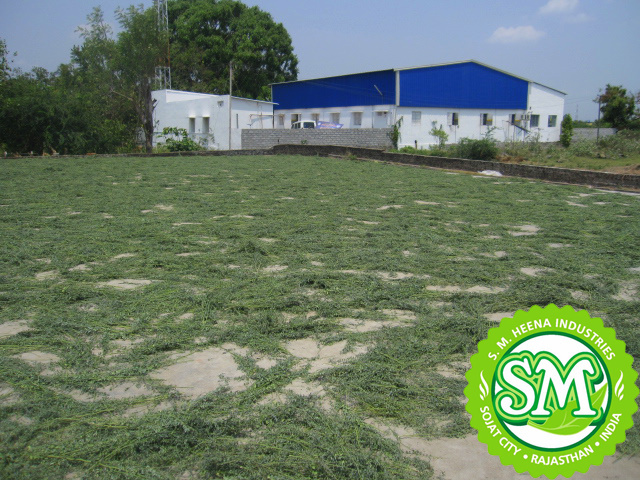 SM Heena Industries is managing Indigo farms in Southern part of India. 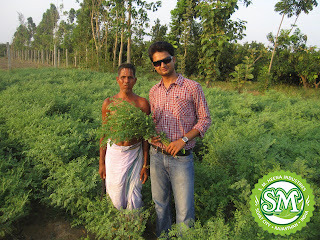 We have a buy back system with most of the farmers of Indigo. 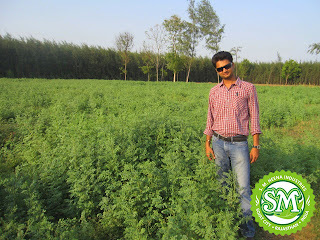 Our Indigo crop is 100% pesticide free, No chemical has been used by any of our farmers. The harvesting time for Indigo is March-August. Farmers take 1-2 cutting during this period. 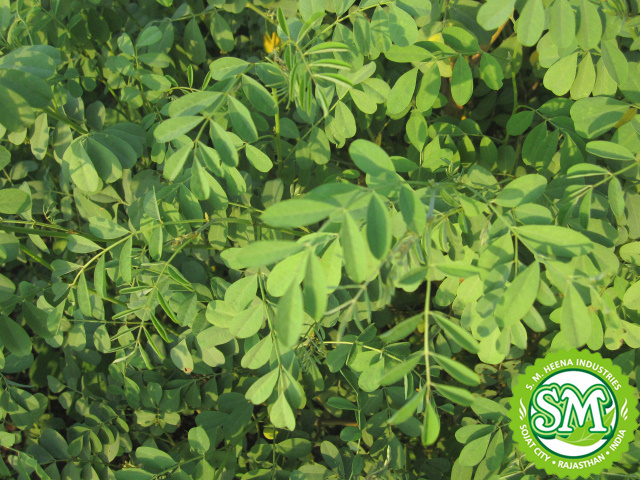 Why is it so important to clean indigo Leaves? 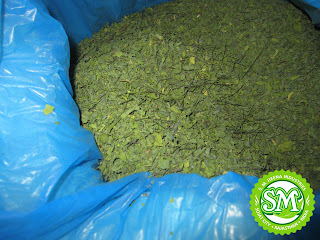 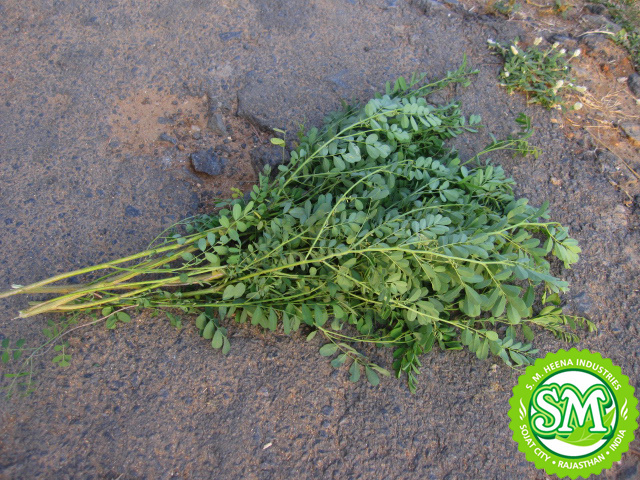 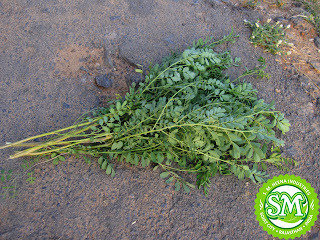 Answer: We process Indigo leaves in our Sojat based factory only. 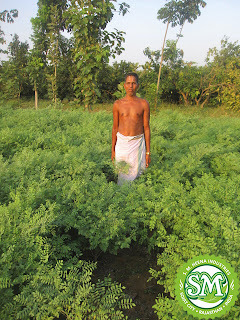 Cleaning of Indigo is very much important because there are lots of seeds and other impurities like weeds (unwanted plants), stems, stones in the crop. Indigo leaves are dried on cemented area so many times cement chips are mixed with Indigo leaves. Some time impurities ratio is approximately 20-30% also. Thats why it is very much important to clean Indigo leaves before grinding it.